Environment and Energy Minister Sokratis Famellos has tabled a bill in parliament that would ratify the International Agreement on the Protection and Sustainable Development of Prespa Park in northern Greece. The bill would continue to protect the park as a natural resource. 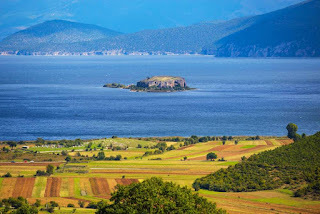 Prespa Park (PP), is the first transboundary protected area in the Balkans, and was established on February 2, 2000, World Wetlands Day, with a joint declaration by the Prime Ministers of Greece, Albania and FYROM, following a proposal from the Society for the Protection of Prespa and the WWF. The news was welcomed by the municipality of Prespa and various environmental organizations and local protection groups such as the Managing Body of Prespa National Park, the Company for the Protection of Prespa, WWF Hellas, the Greek Ornithological Society, the Nature Protection Society, the Environment and Cultural Heritage Company, and the Goulandris Museum of Natural History. The organizations urged lawmakers from all parties to approve the bill, as it was approved unanimously in the parliaments of other neighboring European countries. “Prespa Park is the first cross-border nature reserve in the Balkans. For all of us, the future of the Prespa region means the cooperation and bridging of the gaps for a peaceful coexistence, maintaining the precious natural environment and sustainable development. In this direction, the implementation of the agreement will be catalytic,” the organizations said in a joint statement. 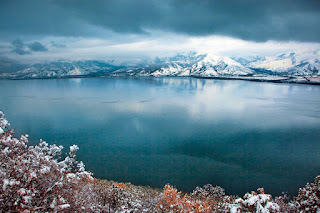 Prespa par eshte e para zone e mbrojtur nderkufitare ne Ballkan, e cila u krijua ne 2 Shkurt 2000, ne Diten Boterore te Ligatinave, me nje deklarate te perbashket nga Kryeministrat e Greqise, Shqiperise dhe Maqedonise pas propozimit te Shoqates per Mbrojtjen e Prespes dhe WWF. Organizatat i kane bere thirrje ligjvenesve te te gjitha partive ta miratojne ligjin, i cili eshte miratuar unanimisht ne vendet e tjera fqinje. Prespa park eshte rezerva e pare nderkufitare natyrore ne Ballkan. Per te gjithe ne e ardhmja e rajonit te Prespes, nenkupton bashkepunim dhe vendosjen e urave per nje bashkejetese paqesore, per ruajtjen e mjedisit te cmuar natyror dhe per zhvillimin e qendrueshem. Ne kete drejtim zbatimi i marreveshjes do jete thelbesor", thane organizatat ne nje deklarate te perbashket.